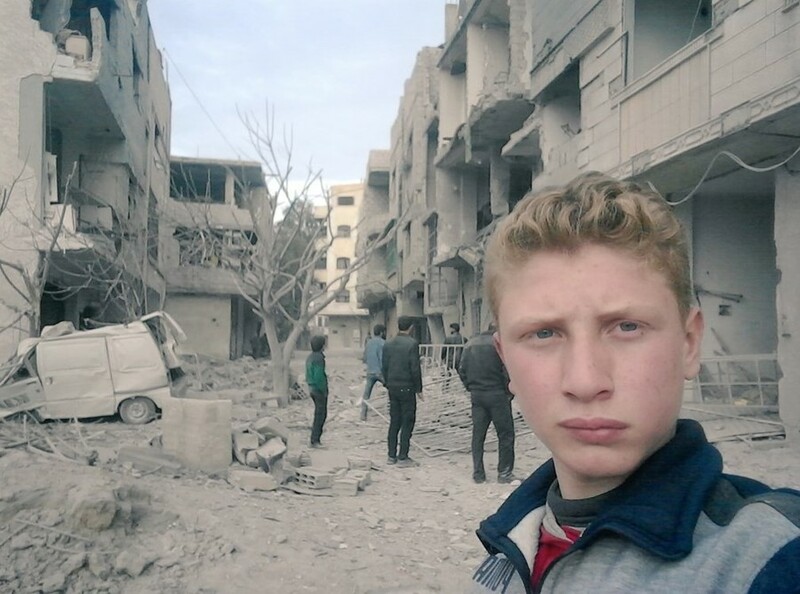 A 15-year-old resident of rebel-held eastern Ghouta, outside of Damascus, has been using his social media to capture and share what life is like as a civilian in the Syrian civil war. Muhammad Najem’s photos and videos document bomb attacks and people injured and displaced, as well as food and medical shortages he and others experience. Muhammad began posting personal messages and videos in December 2017. He writes on Twitter about the death of his friends in recent airstrikes, and surveys the widespread destruction of the war. Another of his friends was seriously injured when they played together in the streets – some of the most disturbing videos show the ashen aftermath, victims loaded into a makeshift ambulance, and the dead in sight. Muhammad also interviews local children about the horrors they’ve been through and shares them on Twitter and YouTube. “I'm like any kid in al-Ghouta. Instead of going to school, I go to buy some wood for my mother to cook our lunch. I hope the war ends and we can all go back to school,” he writes in the caption for an image, where he travels through the destroyed street with a wheelbarrow of wood, wearing a Simpsons sweatshirt. Muhammad also writes about his continued effort to complete his education, studying by candlelight and while airstrikes happen outside. Eastern Ghouta is on the outskirts of Damascus, currently held by rebel forces. As CNN reports, it’s facing one of the bloodiest periods of time across the seven-year conflict. More than 560 people, including 216 children, have been killed in strikes and shelling by the Russian-backed Syrian government in the last week. According to the United Nations, around 400,000 people are trapped in the area. The bombing campaign in this area will continue to escalate as the Assad government push back further against rebels. A 30 day truce was arranged by the United Nations Security Council to supply medical support and food to civilians, but strikes reportedly continued. Muhammad’s videos show a poignant parallel between the horrors of living in a deadly warzone and being a child. Pictures show him and other Syrian children playing football and studying. In other videos, he calls on Syrian president Assad, Putin, and Iran leader Ayatollah Ali Khamenei to stop the destruction. In another, he calls on the United States to help bring peace.